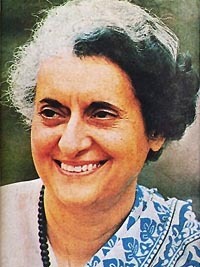 Prime Minister Indira Gandhi laid the foundation of an Islamic cultural centre in Delhi in 1984. Now in 2006, more than two decades later, another member of the Gandhi family has inaugurated it and this has given an opportunity to the Congress Party to improve its old and standing relations with the Muslim voters. The care and compassion which Sonia Gandhi is showing towards the Muslims in public employment and public life today is only yet another milestone in the treacherous policy of Muslim appeasement inaugurated at Simla by Lord Minto on 1 October, 1906 in order to counter the rising forces of Indian nationalism following the partition of Bengal which was the brainchild of Lord Curzon, the predecessor of Lord Minto. The position accorded to the Mohammedan community in any kind of representation, direct or indirect, and in all other ways affecting their status and influence, should be commensurate not merely with their numerical strength, but also with their political importance and the value of the contribution which they make to the defense of the Empire and with due regard to the position they occupied in India a little more than a hundred years ago. So as to reach this goal, we Muslims should be given the right to select our representatives through separate communal electorates. Even the memorandum presented by them to Lord Minto had been carefully drafted, agreed upon and settled in advance between Archbold, the Principal of Muhammadan Anglo Oriental College at Aligarh and Dunlop Smith, the Private Secretary to the Viceroy. The British Government in India had taken advance action to give the widest publicity to this whole affair in the British Press in London, how India was not one nation, how it was not suited for democratic institutions, how Muslims were standing by the Empire and how Muslim patriotism and statesmanship had pricked the bubble of the treasonable Bengal Hindu agitators. Lord Minto became an embodiment of diabolic courtesy, consideration and high culture when he told the Agah Khan delegation at Simla in 1906: In any system of representation, whether it affects a Municipality, a District Board or a Legislative Council, in which it is proposed to introduce or increase the electoral organization, the Mohammedan community should be represented as a community, and its position should be estimated not merely on numerical strength but in respect to its political importance and the service it has rendered to the Empire. I am entirely in accord with you. I am as firmly convinced as I believe you to be, that any electoral representation in India would be doomed to mischievous failure which aimed at granting a personal enfranchisement, regardless of the beliefs and traditions of the communities composing the population of this continent. 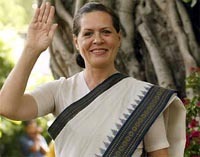 In the political place of Lord Minto, an Englishman, we now have Sonia Gandhi, an Italian woman. Where Lord Minto spoke of 'Political importance' of the Muslims and their service to the Empire, Sonia Gandhi today speaks of the 'under-representation' of Muslims in public employment and public life as 'unacceptable'. 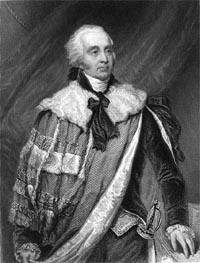 For Lord Minto, Muslims were politically important as a separate group and community, quite apart from the Hindus, to strengthen the foundation of British Raj at that time. For Sonia, Muslims are vitally important for her sheer political survival in the murky world of UPA Coalition politics and Muslim vote bank politics. To come back to Lord Minto's act of colonial treachery, Arun Shourie perceptively observes: The consequences, both immediate and eventual, were exactly as Lord Minto and the British authorities had intended. The former were captured well by the Secretary of State for India in London, John Morley. Upon receiving an account of the proceedings from Lord Minto, he wired Lord Minto: 'All that you tell me of your Mohammedans is full of interest, and I only regret that I could not have moved about unseen at your Garden Party. The whole thing had been as good as it could be and it stamps your position and personal authority decisively. Among other good effects of your deliverance is this, that it has completely deranged the plan and tactics of the critical faction here, that is to say it has prevented them from any longer representing the Indian Government as the ordinary case of bureaucracy versus the people'. According to Arun Shourie, 'The People' would not now be seen as one and indivisible. The situation would now be seen not as British Government versus the united People of India but as Hindus versus Muslims. The most disastrous consequence of this act of national communal sabotage was that the British Government made it clear to all the Muslims that the key to corner the maximum benefit lay in their staying united as a community as Muslims apart from the Hindus in short, only by remaining different in every sense of the word from the Hindus and the rest. The seeds of Pakistan and Muslim separatism were thus sown by Lord Minto in October, 1906. Agah Khan confirmed this truth much later after 1947 in his 'Memoirs' in which he wrote: Lord Minto's acceptance of our demands was the foundation of all future constitutional proposals made for India by successive British Governments and its final, inevitable consequence was the partition of India and the emergence of Pakistan. Thus the unmatched and unprecedented saga of service and sacrifice in the cause of Hindu-Muslim unity for a life time by Mahatma Gandhi was a transcendental failure. Lord Minto, Agah Khan and later Jinnah walked away with the communal prizes of 'Two Nation Theory'. After independence their places were taken over by Jawaharlal Nehru, Indira Gandhi and now by Sonia Gandhi. This is both the tragedy and the comedy of Indian political history in the 20th century. Almost sixty years before Lord Minto sowed the seeds of division between Hindus and Muslims in 1906, Lord Elphinstone, Governor of Bombay wrote: Divide et Impera was the old Roman motto and it should be ours. When the Swadeshi Movement against the partition of Bengal began in 1905, the Hindus and the Muslims jointly opposed the partition scheme of Lord Curzon. In this context, I would like to quote from S.B. Abid Hussain's important book, 'The Destiny of Indian Muslims': Even after this, sensible Hindu and Muslim leaders in East Bengal continued to oppose the partition. The fanatic MULLAHS, however, persuaded the Muslim masses that the Government of the Province had now passed into their hands and aroused in them a blind fury, which naturally took the form of a revolt against the Landlords and traders who were predominantly Hindus, and communal riots raged throughout the Province. The partition of Bengal had to be revoked after a few years on account of the countrywide agitation against it. Yet it sowed the seed of division in the hearts of the people that was one day to divide the whole country. The same finding has been given by W.C. Smith in his book 'Modern Islam in India' which was published in the 1940s, not very long after the communal electorates for Muslims became an established fact under the Government of India Act of 1935. According to him, the communal electorates were designed to lead the Muslims to vote communally, think communally, listen only to communal election speeches, judge the delegates communally, look for constitutional and other reforms only in terms of more relative communal power and express their grievances communally. Mulayam Singh Yadav is playing this game in UP. Lalu Prasad Yadav and Ram Vilas Paswan are playing doubles in Bihar on the same basis. Raja Sekara Reddy is deeply into this communal game in Andhra Pradesh. His record in Muslim appeasement is being challenged by Karunanidhi and his Government in Tamilnadu today. I would conclude by quoting the most beautiful words of Salim Mansur in his path-breaking article in 'Toronto Sun' on June 12, 2006: We have made hypocrisy an art, and have spun for ourselves a web of lies that blinds us to the real world around us. We preach tolerance yet we are intolerant. We demand inclusion, yet we practice exclusion of gender, of minorities, of those with whom we disagree. We repeat endlessly that Islam is a religion of peace, yet too many of us display conduct contrary to what we profess. We keep assuring ourselves and others that Muslims who violate Islam are a minuscule minority, yet we fail to hold this minority accountable in public. We regularly quote from the Koran, but do not make repentance for our failings as the Koran instructs, by seeking forgiveness of those who we have harmed.